"This saga of yearning and mystery travels across oceans and continents to Iceland, Greenland, and North America during the time in history when Anglo-Saxons battled Vikings and the Norsemen discovered America. The marked contrasts between powerful royalty, landless peasants, Viking warriors and noble knights are expertly brought to life in this gripping tale of the French prince named Rumon. Shipwrecked off the Cornish coast on his quest to find King Arthur's legendary Avalon, Rumon meets a lonely girl named Merewyn and their lives soon become intertwined. Rumon brings Merewyn to England, but once there he is so dazzled by Queen Alrida's beauty that it makes him a virtual prisoner to her will. 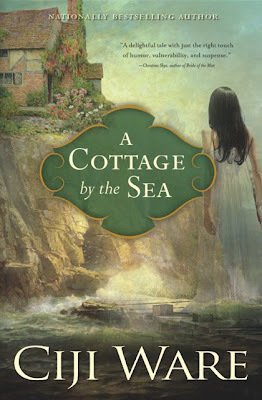 In this riveting romance, Anya Seton once again proves her mastery of historical detail and ability to craft a compelling tale that includes real and colorful personalities such as St. Dunstan and Eric the Red." "Renowned in her time for being the most beautiful woman in Europe, the wife of two kings and mother of three, Eleanor of Aquitaine was one of the great heroines of the Middle Ages. At a time when women were regarded as little more than chattel, Eleanor managed to defy convention as she exercised power in the political sphere and crucial influence over her husbands and sons. In this beautifully written biography, Alison Weir paints a vibrant portrait of this truly exceptional woman, and provides new insights into her intimate world. Eleanor of Aquitaine lived a long life of many contrasts, of splendor and desolation, power and peril, and in this stunning narrative, Weir captures the woman— and the queen—in all her glory. With astonishing historic detail, mesmerizing pageantry, and irresistible accounts of royal scandal and intrigue, she recreates not only a remarkable personality but a magnificent past era." "With the same meticulous scholarship and narrative legerdemain she brought to her hugely popular Lymond Chronicles, our foremost historical novelist travels further into the past. In King Hereafter, Dorothy Dunnett's stage is the wild, half-pagan country of eleventh-century Scotland. Her hero is an ungainly young earl with a lowering brow and a taste for intrigue. He calls himself Thorfinn but his Christian name is Macbeth. Dunnett depicts Macbeth's transformation from an angry boy who refuses to accept his meager share of the Orkney Islands to a suavely accomplished warrior who seizes an empire with the help of a wife as shrewd and valiant as himself. She creates characters who are at once wholly creatures of another time yet always recognizable--and she does so with such realism and immediacy that she once more elevates historical fiction into high art." "The Diamond is a brilliant, dazzling historical novel about a famous diamond -- one of the biggest in the world -- that passed from the hands of William Pitt's grandfather to the French kings and Napoleon, linking many of the most famous personalities of the eighteenth and nineteenth centuries, and serving as the centerpiece for a novel in every way as fascinating as Susan Sontag's The Volcano Lover or Umberto Eco's The Name of the Rose. 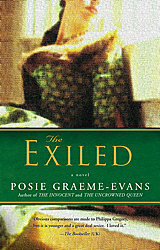 Rich with historical detail, characters, and nonstop drama, the story centers on the famous Regent diamond -- once the largest and most beautiful diamond in the world -- which was discovered in India in the late seventeenth century and bought by the governor of the East India Company, a cunning nabob, trader, and ex-pirate named Thomas Pitt. His son brought it to London, where a Jewish diamond-cutter of genius took two years to fashion it into one of the world's greatest gems. After hawking it around the courts of Europe, Pitt sold the diamond to Louis XIV's profligate and deeply amoral nephew, the Duc d'Orlans. Raised to glory by this fortune, Pitt's grandsons would rule England and devote their lives to fighting the very Bourbon kings who wore their diamond, the enduring symbol of the rivalry between France and England. The diamond was worn by Louis XIV, Louis XV, and by Louis XVI and Marie Antoinette. A beautiful blond whore placed it in her private parts to entice Czar Peter the Great on his visit to Paris. A band of thieves stole it during the bloodiest days of the Revolution. Found in an attic, it was pawned for horses for Napoleon's first campaigns. Napoleon redeemed the diamond and, though his wife Josephine craved it, set it in the hilt of his sword, where it appeared in many of his portraits. After his fall, his young second wife, Marie-Louise, grabbed it when she fled France. The Rgent was hidden in innumerable secret places, used by Napoleon III and the ravishing Empress Eugenie to impress Queen Victoria, and finally ended up on display in the Louvre museum, where it remains today, then and now the first diamond of France. Julie Baumgold, herself the descendant of a family of diamond merchants, tells this extraordinary story through Count Las Cases (author of Le Mmorial de Sainte-Hlne), who writes it in his spare time while in exile with Napoleon I. The book is in Las Cases's words, those of a clever, sophisticated nobleman at home in the old regime as well as in Napoleon's court. As he tells his story, with Napoleon prodding, challenging, and correcting him all the while, they draw closer. The emperor has a kind of love/hate relationship with the diamond, which represents the wealth and fabulous elegance of the French courts as well as the power for good or evil that possessing it confers on its transient masters. He thinks of it as his good luck charm, but is it? For the diamond has its dark side -- murder, melancholy, and downfall ever shadow its light. A glittering cast of characters parades through The Diamond: a mesmerizing Napoleon and the devoted Las Cases, stuck on Saint Helena with their memories; Louis XIV and his brother, the dissolute Monsieur; Madame, the German princess who married Monsieur; the Scottish financier John Law and Saint-Simon, who sold Pitt's diamond to Madame's depraved son; the depressed Louis XV; and Madame de Pompadour. Here too are the families, the Pitts in England and the Bonapartes in France; the men of Saint Helena; nobles and thieves; Indian diamond merchants and financiers -- nearly everyone of interest and importance from the late seventeenth through the early nineteenth century. Written with enormous verve and ambition, The Diamond is a treat, a plum pudding of a novel filled with one delicious, funny, disgraceful episode after another. It is grand history and even grander fiction -- a towering work of imagination, research, and narrative skill." 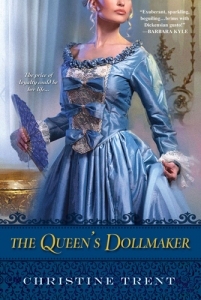 And for review, from the fabulous Christine Trent, The Queen's Dollmaker (Jan 1, 2010).. I know I am late to the tour party on this one.. so by the time my review posts you will all need to be reminded of it again so you can go out and buy it =) And I am extremely pleased to announce that we will have Christine Trent as one of our Round Table authors when her NEXT book comes out!! Gotta get in on the HF Bloggers Round Table list EARLY, folks! "On the brink of revolution, with a tide of hate turned against the decadent royal court, France is in turmoil - as is the life of one young woman forced to leave her beloved Paris. After a fire destroys her home and family, Claudette Laurent is struggling to survive in London. But one precious gift remains: her talent for creating exquisite dolls that Marie Antoinette, the Queen of France herself, cherishes. When the Queen requests a meeting, Claudette seizes the opportunity to promote her business, and to return home...Amid the violence and unrest, Claudette befriends the Queen, who bears no resemblance to the figurehead rapidly becoming the scapegoat of the Revolution. But when Claudette herself is lured into a web of deadly political intrigue, it becomes clear that friendship with France's most despised woman has grim consequences. Now, overshadowed by the spectre of Madame Guillotine, the Queen's dollmaker will face the ultimate test." Have you seen the Round Tablers on Facebook yet? 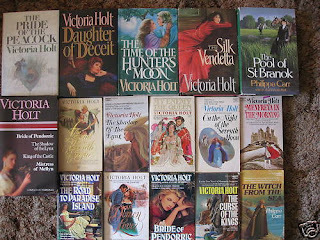 We finally thought of creating a Facebook Fan Page for the Historical Fiction Bloggers Round Table! That is our fan page, and I would love it if you would become a fan!! We have added the event for The Secret of The Glass here http://www.facebook.com/event.php?eid=377779101112&index=1 and let's see you there!! As usual, we are featuring reviews and creative posts, as well as giveaways celebrating the new release of The Secret of the Glass! My review was here, you can sign up right now at the main page to enter for your chance to win a copy of The Secret of the Glass by Donna Russo Morin. I have my copy of my ARC up for grabs along with a bookmark I made for my followers, ending March 6th. My creative post discusses the tough decision of Marriage vs. Cloister, and I would appreciate you chiming in with that discussion! I wish you all could have been winners, but at least there were FIVE this time! Congrats to these winners, everyone has responded and thanks for that, I've already submitted your addresses! Thanks for entering. I really enjoyed hearing who your choices were for authors you would like to meet. OK Onwards to my reading endeavors for the week. I LOVED ELLEN HORAN's 31 Bond Street.. SO MUCHH!!!! My review posts on March 3rd... along with a GIVEAWAY! I will also post the review for Susan Higginbotham's The Stolen Crown on 3/1/2010, and participate in the Blogsplash for Fiona Robyn. Speaking of Susan, she has the funniest post about the facebook adventures of the medieval characters she writes about, see the post here. I am around halfway through Elizabeth Chadwick's newest novel, The Scarlet Lion, which will be our next event at the Historical Fiction Bloggers Round Table. I am so glad that I managed to squeeze in The Greatest Knight; I would not recommend reading The Scarlet Lion without reading the first book. After this read, I have 400 books to read. Maybe 500. I will choose from the large review pile and hope that it doesn't topple over on top of me as I reach into it. I am glad that the round tablers have agreed to take the summer off so I can catch up on my personal reads! It's been a busy year already, my brain is sizzling and about to short out. And on a really fun note, I love hockey. Seeing the Dallas Stars play on March 4.. go STARS! Looking forward to leaving the kids behind watching the Stars. And as for Sunday's Olympic GOLD medal game vs. Canada (I love you, Lucy) GO USA! "Secret agent Richard Hannay battles German spies on the eve of World War I in a riveting and romantic new version of the thriller by John Buchan. 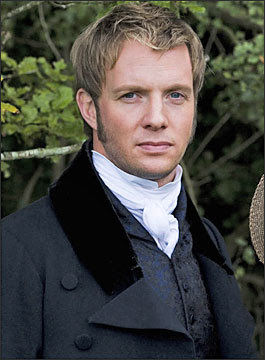 Rupert-Penry Jones (Persuasion) stars as Hannay." This guy was to die for in Persuasion. And with that fabulous tousled-hair-with-smoldering-eyes look.. I shall leave off.... (fans herself). Sophia Fiolario, the comely daughter of a glass making maestro, has no desire for marriage, finding her serenity in the love of her family and the beauty of the glass. She learns of its secrets at her father’s side, where a woman is forbidden to be. The life Sophia loves is threatened by the poor health of her father and the determined attentions of a nobleman who could and would never love her but seeks to possess her wealth and the privilege it affords. Thrust into the opulent world of the Venetian court, Sophia becomes embroiled in the scheming machinations of the courtiers’ lives. The beauty of Venice, the magnificence of the Doge’s Palace, are rivaled only by the intrigue and danger that festers behind their splendid facades. As she searches for an escape, she finds the arms of another, a man whose own desperate situation is yet another obstacle in their path. Amidst political and religious intrigue, the scientific furor ignited by Galileo, and even murder, Sophia must do anything to protect herself, her family…and the secret of the glass." 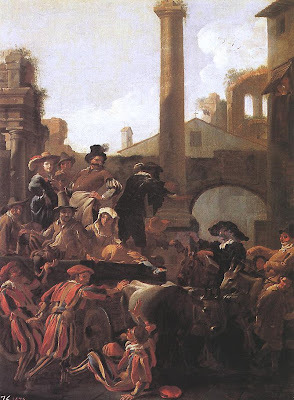 Donna Russo Morin tackles seventeenth century Venice in her newest novel, The Secret of the Glass. She writes of many underlying themes while she tells the story of Sophia, a girl who is doomed to marry a nobleman against her wishes. She is the eldest child of a glassmaking family, and as such, she is the only daughter that is allowed to marry, bringing with her the inheritance of the lucrative glass factory that has been in heritage for years. 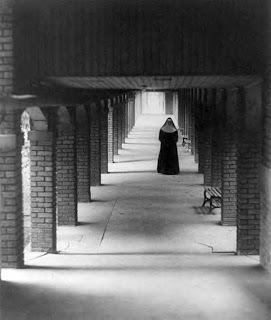 The remaining daughters will be forced to enter a convent once Sophia's sickly father dies. The story centers around this possibility, and the fact that Sophia wants nothing to do with her betrothed, Pasquale. Worse yet, her father who suffers from dementia has alluded to the fact that Pasquale's family has something damning to hide, but Sophia cannot approach her father with further questions. She instead decides to follow her betrothed to see if she can find out something about him, as he is not very talkative when they are together. The Secret of The Glass carries with it the intrigue of the glassmaking process, and gives details about it as Sophia herself creates the pieces. That is a subject that would be damaging to the family if anyone found out the fact that it has been Sophia making the glass for so long, since it is against the law for women to do so. When Sophia is presented with the possibility of losing the ability to make the glass due to her betrothal, she decides to try and devise a way out. Along the way, she meets the dashing fellow, Teodoro, someone who is not allowed to marry, and they are instantly attracted to each other. Beginning with the tradition of carnival time, the author slowly meanders her way through this story, presenting details of Venice that are intended to bring Venice to life. Although I am normally very appreciative of historical detail, I was turned off by the many Italian words that were inserted. I had no inkling of what many of these words meant, and that really distracted my attention span, which in turn failed to pull me into the story. I would assume that those readers who love Venice and its allure may truly be entertained by the endless snippets of detail that the novel imparts. For this reader though, I felt the reading was sluggish for me, and that it was hard to become emotionally attached to Sophia or any of her supporting characters. Her characters were interesting enough, and I was surprised by one character's actions at the end of the novel, so much so that it was too out of character. With a story that focused mainly on the political atmosphere at the time, which was the most intriguing, it seemed that more things were happening around Sophia but not directly to her, which makes the events and plot seem a bit more simple while describing the book. I am particularly interested to see how others will review this book, especially by those who really adore Italy. Perhaps this one was too far out of my comfort zone of England-related reads for me to appreciate at this time. That being said, I was particulary intrigued by the scenes that included Galileo, as it is told in the novel Sophia made the lenses for his first telescope, which was the central instrument for the Scientific Revolution of the seventeenth century. 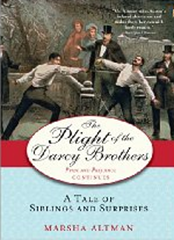 This in turn affected the political, social and religious controversy of the times, which was one of the themes incorporated into this novel. Those who believed in theories of the astronomer Copernicus were branded as heretics, and those who supported Galileo were therefore tottering on that same edge of heresy. Another interesting theme was the Pope versus the doge, with an important case of clerics which occurred in 1605 and who should have the authority to govern disputes. I was also touched by one theme of the high dowry and forced marriage situations at that time. I will have another post coming up this week that explores this, and I would love to hear your thoughts on it. Donna Russo Morin's previous novel, The Courtier's Secret, came out in February of 2009 averaging 4 stars on Amazon reviews, and coming March 2011 is To Serve A King. As part of the Historical Fiction Bloggers Round Table Tour, we offer you some more Venetian inspired treats, from more reviews to giveaways to Glass Pendants! Creative posts at All Things Royal, Historically Obsessed, and Enchanted by Josephine. More to be posted during the week, visit the main site for a complete calendar of events. Posted now is the new Murano Glass Pendant Giveaway! 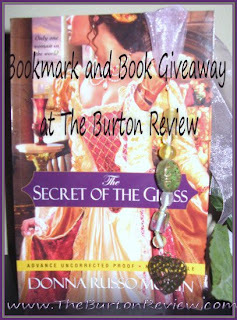 Come back in a few days to win my ARC of The Secret of The Glass, when I post my creative post. I LOVED her book Island by the Swans, (review here, interview here) I had to jump on the chance to review the next reissue. "But after a scandalous Hollywood divorce, Blythe Stowe considered it damage control for body and soul. The pain, the humiliation, the daily tabloids shouting details as her famous husband dumped her for her own sister demanded a serious getaway: to the wild coast of Cornwall and a cottage by the sea that her Wyoming grandmother claimed had been home to her ancestors. But Blythe encountered more than just a quaint retreat nestled amid vivid skies and gorgeous ocean. And she had the odd sensation that her wickedly handsome neighbor Lucas Teague was more than a British gentleman going broke. He might be her destiny . . . "
"Angelet and Bersaba Landor were born identical twins, but as they grew to adulthood, they found their likeness was purely physical. For while Angelet was outgoing with a sunny disposition, the passions that burned fiercely within Bersaba were of a different nature. 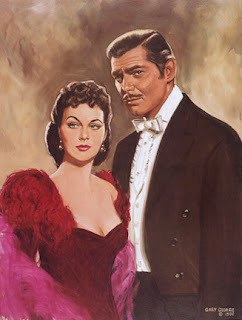 Before she was seventeen Bersaba was convinced she was hopelessly in love with her handsome cousin, Bastian Casvellyn, and had undertaken to test that love. It was the unexpected intrusion of the lovely Senara at the Casvellyn's ancestral Castle Paling, where once Senara's mother had arrived flung on the forbidding shores by a stormy sea, that brought an end to the Landor twin's pleasant, if bucolic, life. In short order Senara had usurped Bastian's devotion, discarded him and swept off to London to wed the dashing Sir Gervaise Pondersby, leaving chaos in her wake. And when, shortly thereafter, Bersaba fell ill of the dreaded smallpox and Angelet was sent to the safety of London, life changed forever for the Landors. For among the teeming trading stalls of London's St. Paul's, Angelet encountered Richard Tolworthy, and almost before she could believe it found herself married to him -- a King's general, years her elder, whose first marriage had ended in tragedy -- and transported to preside over his considerable estates. Far Flamstead proved to be a handsome house, yet within it's walls, and outside them in the intriguing miniature "folly" castle, lurked a secret that was to threaten Angelet's happiness and, in course, her life itself. At first there were days of happiness when it seemed Richard would have the heir he so desperately sought, and a terrible night after which he would not. Then a recovered Bersaba came to Far Flamstead to comfort her bereaved sister -- and met Angelet's husband. And so a swirl of dramatic events is set in motion, which sweep this romantic novel to its climax as battles flare, ghosts rise and the fate of a nation is settled." 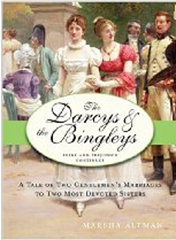 "When Lucinda Greenham and her impetuous friend Annabelinda Denver leave London for finishing school in Europe, neither imagines the trouble to come. It takes many forms: Anabelinda's secret affair; the child born out of wedlock; and the German invasion of Belgium. With the Germans one step behind, the girls flee across a stunned Europe on the brink of World War I, to arrive safely in England at last. Picking up the pieces of their lives, they consign Annabelinda's damaging past to secrecy, only to be faced with blackmail so severe it leads to murder. 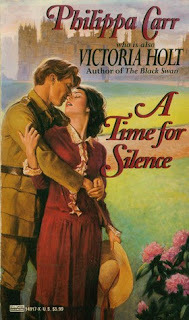 As the girls will learn too late, there is a time for truth and a time for silence." "Historical maven Erickson (The Hidden Diary of Marie Antoinette) delivers a top-notch narrative featuring beautiful and courageous Tatiana Romanov, daughter of Nicholas and Alexandra, during the final years of their reign. As life becomes increasingly bleak in pre-revolution Russia, Tatiana sneaks out of the palace and sees firsthand the poverty and violence pervading her country. With Communist rebels shouting for equality and enemy countries invading, Tatiana befriends a young and destitute pregnant woman whose fiancé has just been murdered by Cossacks, opening up her conscience in unexpected ways. 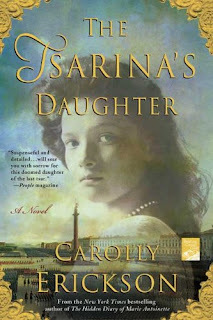 But as the czar falters and the czarina takes refuge from her afflictions in the company of Father Gregory (better known as Rasputin), Tatiana finds solace in the arms of a fierce patriot. Erickson creates an entirely convincing historical backdrop, and her tale of a family's fall from power and a country in transition is both romantic and gripping." "In this windswept story set in the lusty fifteenth century, the enchanting Anne faces the challenge of raising her child in exile. Always resourceful, she flourishes as a merchant and is able to support her household. But the local businessmen aren't pleased about competing with a woman and her foes are multiplying around her, desperate to put her back in what they believe is her rightful place. Anne has a secret that her enemies could use to destroy her. 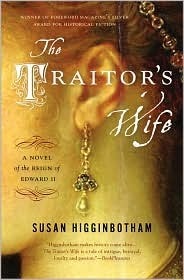 Her beloved son is the product of a passionate affair with the king, Edward IV, who knows nothing of his existence. If this information were to fall into the wrong hands, it could prove lethal for Anne and her child. She struggles to find peace in a world of duplicity and suspicion, where adversaries masquerade as allies, and someone very powerful wants her dead. Yet, despite the pressure of her enemies, what pains Anne the most is that she is unsure when or if she will see her darling Edward again." "Alice Howland is proud of the life she worked so hard to build. A Harvard professor, she has a successful husband and three grown children. When she begins to grow forgetful, she dismisses it for as long as she can, but when she gets lost in her own neighbourhood she knows that something has gone terribly wrong. She finds herself in the rapidly downward spiral of Alzheimer's Disease. She is fifty years old. Losing her yesterdays, her short-term memory hanging on by a couple of frayed threads, she is living in the moment, living for each day. 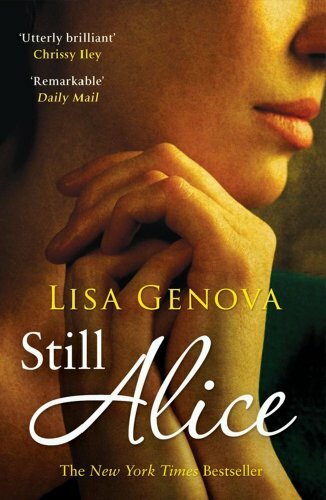 But she is still Alice." 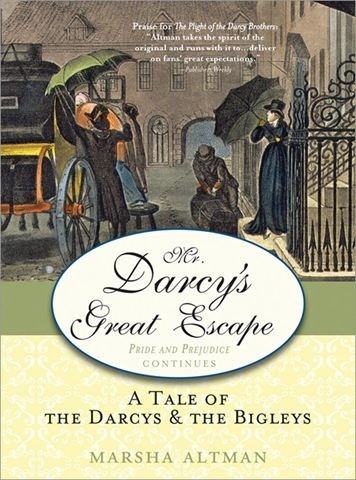 The Sunday Salon~ Masterpiece Classic: Northanger Abbey tonight! Happy Valentine's Day! Many of you know that I live in North/East Texas. And if you don't .. now you do. And my goodness, these parts of Texas got some record breaking snow Thursday and Friday! So, the kiddos and ME stayed home on Friday! A snow day.. and that is something I have not had since my days of growing up on Long Island in New York. It was truly fun to watch the kiddos' first experiences with the snow. Reminiscent of my old days so very much gone by.. and so odd how time seems to rewind and flash forward quickly in these nostalgic memories. The kids are off for President's Day also, so they get a 4 day weekend! 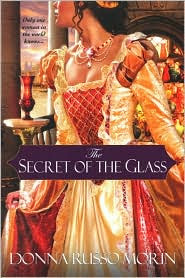 I have just finished reading Donna Russo Morin's newest novel coming out soon, "The Secret of the Glass". It is not a quick read and I am not going to be gushing over it. This is a read for the Historical Fiction Bloggers Round Table, therefore it won't post until that week of the 20th. But, I will still have another review to post for you this week so you won't miss me. 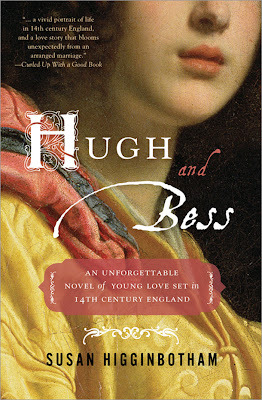 I am posting "Hugh & Bess" by Susan Higginbotham next week. And already posted for you this past week are two reviews: Roses by Leila Meacham, and The Masqueraders by Georgette Heyer. 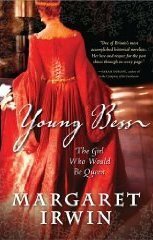 I have just begun to read another great Sourcebooks reissue: Young Bess by Margaret Irwin (1889-1969). This was first published in 1944 and I am about 120 pages into it (after just starting it this Saturday) and enjoying this one very much. I have always admired Elizabeth I, and this is a story that is focused on her younger years, and the turbulent Tudor times of when Henry VIII dies leaving his young but sickly son as his heir to the kingdom. 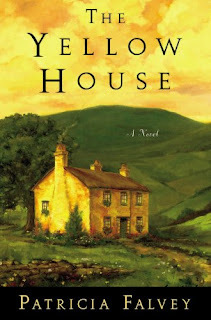 Book 2 in the trilogy will be reissued by Sourcebooks in October 2010. I love the easy writing style of Irwin; this should be a happy and quick read for me. The highlight of my week was meeting the author of Roses, Leila Meacham. It was truly a fantastic experience, and Leila now has a fan for life. Read my post about meeting Leila, and what I learned when I spoke with her, at this post. And for an extra special treat, Hachette Book Group is sponsoring an awesome book giveaway of Roses for lucky commenters on that post! So please stop by, and read my thoughts, and enter for you chance to win Roses! Thanks to Miriam for setting up the meet and greet with Leila, it is a memory that I shall hold dear. Onwards to TV news.. the Masterpiece Classics show Return to Cranford is available for viewing online until February 16 only.. so hurry up and get over there. Did you see Emma which aired January 24-February 7, 2010? No? Watch Emma Online through March 9th! For Valentine's Day on Masterpiece Classic is an adaptation of Austen's Northanger Abbey! 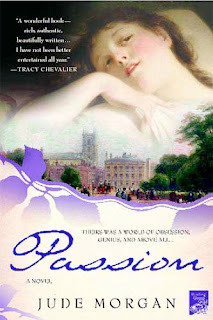 I am so looking forward to it, as I was one of those Austen fans that really enjoyed the Masterpiece version of Emma. The two book giveaways for Ciji Ware's Island of the Swans, and then for Robin Maxwell's O, Juliet each concluded 2/12. The winners have been notified via email (which is why I require your email address so be sure to include it when you enter my giveaways!). You have until Monday PM respond to my emails. Winners of Island of the Swans: Holly and Lizzy! Congratulations, and don't forget to enter for my newest giveaway of Roses!